I tried to do a Thought for Sunday. Tried to write a thought for today. Was interrupted too much to do so. Every time I began, and I mean every single time I actually tried to type a thought, I was interrupted. So that’s what you call an old fashioned blog entry. I hope you have a great day and have a better chance at writing then I have had. Try to take my joy. This was the first take I had on my Haiku challenge this week. The L.A.W. in London: Yeah, Baby. This was a continuation of a story Hugh of Hugh’s Views and News and I have been doing for months now. My Lips, Your Curves. A Haiku. Another Haiku I wrote for my challenge. It’s, um, a little different. Disabled, Disgruntled and Disenchanted-The WordPress Stats Page I had been suffering through the changes to the Stats page but had been kind of making do with being able to click to the link near the top of the new page to go to the old page. Then this week happened. Tips to Increase Followers and Views. Some ideas that I have been thinking of that are a bit outside the normal way of seeing things. But then that’s kind of how I am. The continuation of disenchantment. Well, I think you might get where this is going by the title. Yeah, another change that is just making it more and more difficult for me to fight my way to get past the 24/7 migraines and everything else. Just imagine having a migraine every second of your life and showing up and your blog world is more frustrating when it has no reason to be. As I attempt to go through my Notifications of the nice people that have liked, commented and reblogged my posts here on Ronovan Writes and other blogs I have, I find that WordPress has made yet another change. Yes, it has been one they have tinkered with for a split second as they, I imagine, tested and then reverted to the Notifications we have known in recent times, read as for at least the time I’ve been blogging. Now instead of seeing a straight forward notification where I am able to click and the item pop out to the side, now it is a new, how best may I describe it? A new Notification window maybe comes up and then I must now click on the Notification icon at the top to close then click again to open. Now with as large a view of the Notification entries along with but a brief few words of the comments made I see less Notifications at one time. Also the View All Notifications is now missing. That might have made it easier, but perhaps because they have removed the, as I will call it, side out option, as oppose to a drop down option when you click something, yes, a side out option when you choose something is what we had, but with it gone I cannot even try to use that to make my life and hands and arms easier. One thing I do want to say is that considering this is a free blogging platform I am not unappreciative of being able to blog without having to pay, yet. I may go premium at some point if I ever find the finances to do so. I would like that I think. However, we bloggers, the free bloggers are what make WordPress the huge success and leader it is in the blogging world. 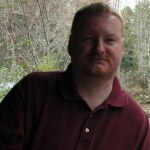 To any WordPress employee that might read this I have some things to say. Change is not always good. I had not heard of anyone unhappy with the various things you have been changing. For people that are really into blogging, it’s not about the cool or the pretty, it’s about seeing what we need to see and being able to easily connect to those who connect with us. You’ve made that more difficult. As for me, with my difficulty using my hands you are making it more and more difficult for me to use your platform. I love the WordPress community and will continue here for as long as possible, but if I can’t blog then I can’t blog. No, no that’s just my own personal definition as I look at my reflection in the screen of my laptop as I write this. You’ve heard of them, Blogs that is, you might even have one, still Blogs or maybe that other blog definition, but you have no idea what that really means. Well, let’s give it a shot, shall we? You have two creatures out there called web sites and weB LOGS. Or some might say weblog as the history of the word goes. See what I did there? Yes, I know you did. A site is one of those places that you go to and is somewhat static in nature with some background content updates. For the most part it’s a place where you will most likely see the same thing each time you visit. For you writers out there, ever notice when you go to a literary agency web site how things don’t look much different? That’s a site. A weB LOG is a log of things that come to your mind and you share with everyone. It might be life events, creative sparks, anything. Anyone can have a Blog. Many authors have both a web site and a Blog. With Blogs an author puts out promotional updates and even samples of what they might be working on. Or at times just a quick little poem or short story to give fans a taste. I personally, believe it or not do own a website, www.ronovan.com, just no hosting for it so here I am in Blog World and will stay here even once I have hosting I can afford or find for free somehow. The Web Site would act as the landing site for visitors and then they could click on a tab on the page to show up here. Which they can do now actually. How about that name for my website? Is that original or what? Can you believe it wasn’t taken by anyone? 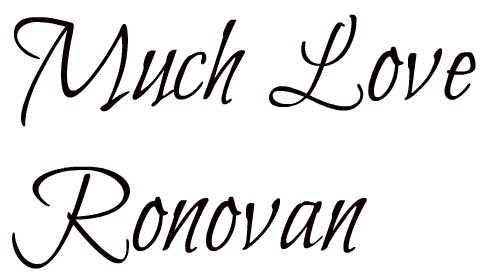 And yes, Ronovan really is my name. Why is a Blog so useful? A blog is where you can have fun and keep fans posted on goings on in your author career. You can show your personality in a blog. This how you really connect to fans these days. You combine a blog with things like Twitter, Google+ and other things and you have people that will buy your books. They want to know your life, and this is a way to give that to them. Even if it’s just a picture of a sunset near your home or places you’ve been. And as for being a part of WordPress you can become part of a massive author community that helps each other out. You can learn a lot about being an author, from writing to marketing right here on WordPress. You don’t connect like that with a Web Site. You are mostly out there on your own. In reality you can make a Blog, which is really a web site as well, a traditional web site if you wanted to. Perhaps I will do some articles about building a Blog. I did a few on my LitWorldInterviews site but life got in the way of my completing the series. Who knows? I may have even written a few articles here on Ronovan Writes as well. I tend to write a bit about everything. You may have noticed that. So before I commit to telling you to expect a series, I’ll have it completed first. But, if you have a question, ask. You can even send a question to RonovanWrites (at) gmail (dot) com and I’ll see if I can help you out. People I Follow are somehow becoming unFollowed. Recently, and maybe not so recently, I have noticed people that I Follow are showing up as no longer being Followed. I wanted people to know that if you see me suddenly Following you again it wasn’t that I stopped Following you before. And I hope I am not missing people, with my problems I Follow people for a reason. This greatly upsets me.